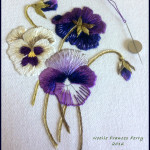 Trio of Pansies, designed by Trish Burr, worked in single stranded cotton floss on printed linen fabric. Approximate worked area is 9 by 10 cm. Several years ago Trish Burr offered most of her designs in a semi-kit that included needle, printed fabric and detailed instruction booklet that included supply listing of DMC or Anchor floss. Now it seems like most of her design are downloadable where you transfer the design onto your own fabric. In the USA DMC floss is currently 30 to 45 cents a skein so I was quite ok with purchasing my own threads, but I do miss being able to order her needle painting designs on preprinted fabric. With my especially liking the fabric that Ms.Burr used in her semi-kits I have purchased her offered 100% linen fabric from her Esty store. This WIP photo was taken to show how I like to use stitching thread to indicate the directional lines of the area I am about to work. 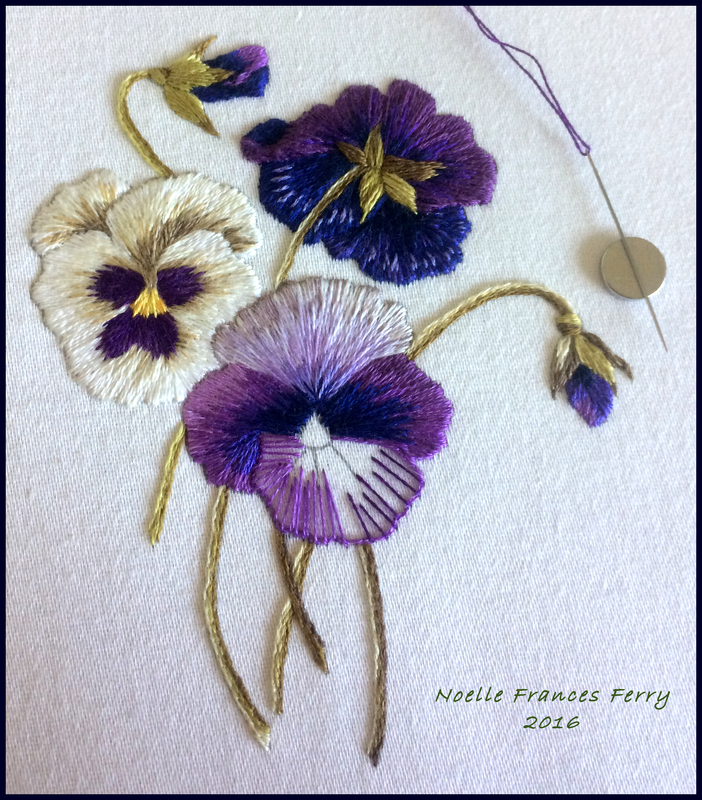 I use stitching thread (in the color I am about to work in) to show me the directional lines of that petal. You can view in this photo the black lines of the preprinted design (on the fabric). I use the preprinted directional lines to help guide my placement of the thread directional lines. 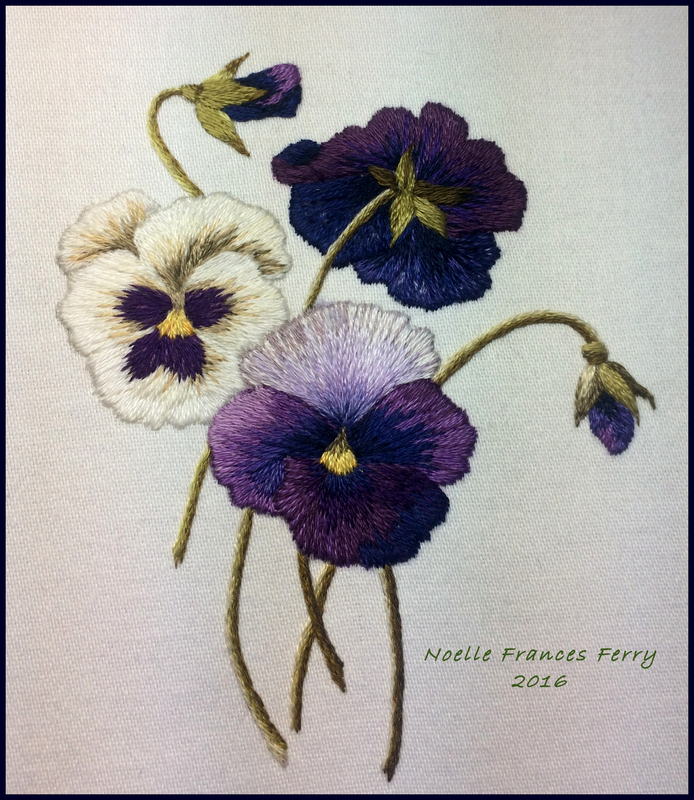 As I stitch in needle painting I feel that I am painting with a brush that has only one hair as one would in miniature painting. Even after several needle painting projects I still view books to help me with thread placement for shading within needle painting.